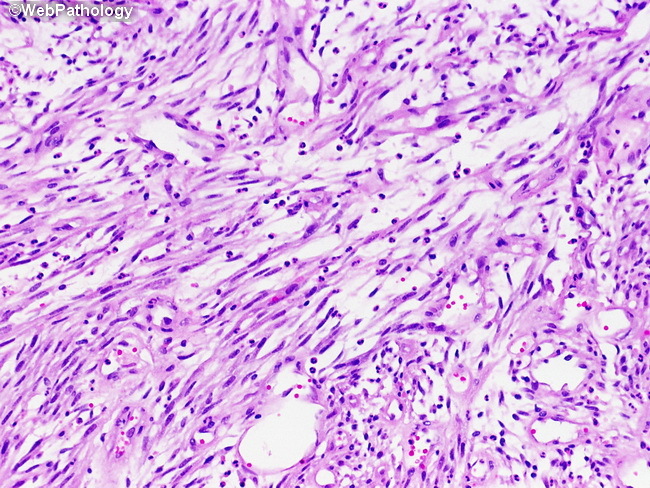 Post-operative spindle cell nodule is morphologically identical to inflammatory myofibroblastic tumor. It consists of a proliferation of plump spindle cells in the urinary tract months after a surgical procedure. They are infiltrative and capable of local destruction. A delicate capillary network, inflammatory infiltrate, frequent mitoses (but none atypical) and myxoid stroma are additional features.